I am Soulful Yogi – "We repeat what we do not repair"
"We repeat what we do not repair"
Have you ever had one of those weeks where you were like when will this week every end? I think we have all experience weeks like this; you feel like everything that could possibly go wrong in your life it seems as if it is being thrown at you and you feel like I have no energy or time for this. Some of us takes situations like this and just deal with it, while others take situations like this such and completely shut down and let it ruin weeks to come. So how do I deal with weeks like this? Believe or not I used to completely shut down from the world and just sit in my sorrow. But what good does that do……..do we really accomplish anything from doing that? Do we get closer to our goals by sobbing? Do we conquer our fears and challenges by wallowing in our disappointment or sadness? NO, NO and NO. We don’t accomplish anything when we just completely shut down. We don’t conquer our fears and challenges by just sitting in our safe box (complacency), our comfort area. We don’t solve problems by eating our way out of them. What do we do? We get out of our complacency box, our comfort zone, our fearful box and we tackle it. I have learned from friends and acquaintances that life happens but how you approach it or deal with these situations is what really matters (did you catch that) How do you overcome battles? You SHAKE IT OFF and you stand straight up and tackle that battle. You have gone through that struggle or that bad week so what do you do now? 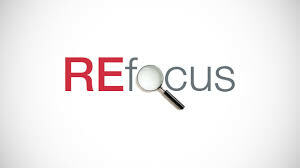 You REFOCUS yourself, your goals and your life. I purposely have my manifestation board where I meditate every morning so that I can visually see it each morning. I also place affirmations around my house and it my workplace them so that I can purposely see them each day to allow myself to REFOCUS to remember my goals, aspirations and my WHY (why do I do what I do each and everyday) Nothing will get accomplish if we always stay in the same mindset. You learn from that struggle, battle or disappointment. What makes you stronger is not always how you deal with situations but how you learn from them so that the next time you are face with a similar situation you know how to handle it. So MAKE A PLAN OF ATTACk of how you can refrain from that situation or how you can handle it if it ever happens again. Now that you took time to SHAKE IT OFF, you REFOCUS yourself, MADE A PLAN now it is time to ATTACK. Attack your day with the attitude that whatever may come your way today YOU are ready to take it own full force. Attack your day with the attitude of gratitude of being PRESENT, a mindset of STRENGTH, a mindset of fearlessness. So if you ask me today how do I get through a bad week? 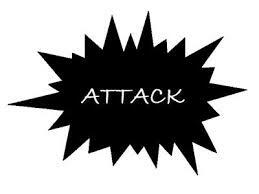 I will tell you this……I shake it off, refocus myself, make a plan of attack and then I simply just ATTACK. Always remember each day is a new day, new goal, new mindset and A BETTER YOU! With love and A BETTER YOU! Wow those two words are so BOLD and mean so much. What you put behind these two words can shape and mold you into whoever you want or desire to be. As I sit here and ponder about what these two words meant to me in 2015 it quickly reminds me of how far I have come as a woman. There are three words or phrases that come to my mind of what I felt like on last year that started with these bold two words. I AM alone, I AM unhappy, I AM Hurt then I realized that when I changed my mindset and the way I was wording things I began to realize that my new space was…I AM LOVED, I AM JOY, I AM OF STRENGTH. This was a big one I had to battle. Why was I unhappy? I was finally out of a situation that was making me unhappy but yet I was still unhappy. I figured out I was unhappy not of my situation but of the unknown. I didn’t how things were going to turn out. I had to stop looking back and looking too far ahead. I had to learn how to live in the moment. I had to learn that it is okay not to not be okay. I also learned that it is okay if it doesn’t happen the way it should happen. You regroup, detour or find a new path. Once I stop trying to control my life and the changes that I was going through I began to become happier not of the situation but of how I reacted and addressed my life each and everyday. I finally began LIVING. In 2016, I suffered from a bad injury to my left foot and I was physically hurt. Well if you have ever been injured before it is very mental. Why? because if you love to do something and one day you can’t do it anymore then it can become depressing. Running as I realized was my stress reliever, it was a way where I could escape from the world and just be. Well when I realized I couldn’t do that anymore I had to learn how to re-program my mind. I truly devoted my time to meditation. I really started to focus on changing my mindset. I realize in changing my mindset that it not only helped me to mentally recover from that injury but also mentally recover from LIFE. So just because your I AM may not be uplifting at this point or moment in time. Think about it, why is that your I AM? Can anything be done to change that? If so what…. then change it. I can tell you one thing that can change it…is how you label it and put it. Realize that what you put behind those two words, I AM will come into reality. So speak positivity, speak life and speak happiness. So I often speak about this but in our fitness journey we are often taunted with our past or with the notion of what we can not do. However, we never really take the time to embrace the moment that we are in, the accomplishments we have made thus far. We are our biggest critics and we often put so much pressure on ourselves that instead of it encouraging ourselves we provide discouragement. As I glance at this photo that was taken this last year I begin to really be amazed at the sky and how beautiful it is. I also begin to really focus on the water and how peaceful it seems. I said to myself, “Wow this is simply beautiful”; just caught in the present moment of it’s beauty. So I really begin to equate this to our lives and thought to myself if I would just take a moment each day before I get started with my day and really embrace ME, LOVE ME and really begin to give compliments to myself. Do you know how motivating, invigorating and encouraging that would feel? Do you think I would have a positive outlook on what I have to do for that day? Of course I would, what people often fail to realize is that this healthy journey and lifestyle is not all about just how many workouts can you do; this journey is about mentally how do you feel about yourself. Do you tear yourself down each and everyday? Do you love yourself for who you are on THIS day? So take time out each day and really sit back and Embrace the Present YOU! Be grateful, thankful and Love the NEW YOU. Love the changes your body is going through even if it is not where it needs to be. Love who you have become both inner and outer. Love the fact that you cared so much about your health and your body that you chose to change your life. Love the downfalls that you have gone through as it has only made you stronger. So I ask you to really LOVE YOURSELF UNCONDITIONALLY but in order to do that you must first Embrace the Present YOU! I have constantly been asked, “How did you overcome your depression?” or “How did you get rid of your anxiety?” and my answer is simply I didn’t get rid of these things I have learned how to cope and how to manage these things. It would be a nice thing if we never got sad, or angry, or frustrated, or disappointed. But reality is these things happen, these emotions happen. If it hasn’t happened yet then it will happen. But the beauty of not being afraid of these things happening is learning how to cope, learning the art of healing through these things, situations. I often tell my patients and others that Life is going to happen that is a for sure thing but it is not what happens to us in life; it is how we choose to react to the things that happen to us in life. We can choose to allow life to drag us by the feet/tail or we can drag life. We have the ability to take over our reactions. We are given a choice each and everyday on how we will react to things that happen to us in life. I am often reminded of these statement, “Did you really have a bad day or did you just have a bad 5 minutes that you decided to milk all day long?” So the next time that life is happening to you or you start your day off rough or it seems as if everything is going wrong in life. Take a step back and ask yourself, “How will I choose to react to this?” Am I going to allow this situation to take over my life or am I going to take over the situation. So what is the “Art of Healing” to me? So as some of you may already know I have trained and done several half marathons and marathons. Often times during training season you can simply just get burned out. Your body simply gets tired of doing the same miles, same routine, same route and simply your body is like, UGH Can we please do something else?!!!! 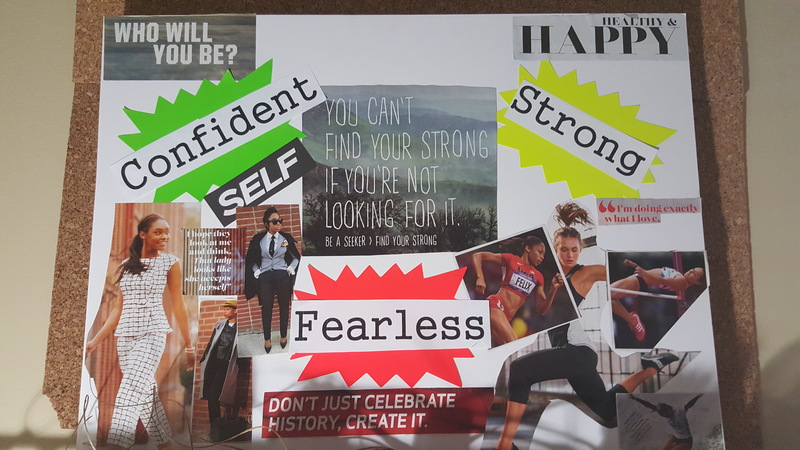 This is what happened to me my first year training for my first marathon. By the time I got to my race my body was like finally we are here but my body was also like UGH I have to go run 26.2 miles now, I am sick and tired of running. So how can we avoid not being burned out? Simply in whatever you are doing make sure you are having FUN (when we start to dread getting up and doing our activity or training then it is no longer is an enjoyment to us. When you get burned out it can take a toll on your body and also cause you to stray away from that activity/training. Take note of what your body is saying to you during your training. Also, don’t be afraid to try new things and simply to just switch it up! Have you ever said I am going to do that tomorrow or I will get to it tomorrow? That was totally me not only with fitness but just with everyday life. Often times we don’t want to face the things that are challenging we want to do the things that are easy, comfortable, the norm. For example, I used to hate doing bills, especially if you know you have many bills to pay. I would procrastinate and procrastinate to the point where I would dread sitting down to do the bills. Well reality was that the bills were not going anywhere so why wait and prolong the process, the agony..lol. It is the same way with our fitness journeys. How many times have we made resolutions or said okay I am going to start this week? The week comes and goes and we are still in the same place, same situation, at the same point and still have not gone anywhere. If we are waiting for that perfect time, perfect moment, perfect opportunity we may be waiting for a long time, The time is now, the time to evolve into true self is now, the time to explore and tap into your inner self is now. So stop waiting on the perfect opportunity or waiting for the next New Year to make another resolution. I don’t care if you have fallen off of this New Year resolution the year isn’t up…Start today. Don’t let the past pain, the past hurt, the past disappointments cause you to not start today. The true Art of Healing is understanding and accepting the past but not dwelling in the past. Learning of ways to not allow the egoic mindset to say you are your past. You are not your CIRCUMSTANCES or YOUR PAST. You are READY NOW, the time is NOW. No more excuses, no more I will wait, no more I just can’t right now. The TIME is NOW!!! Stop Waiting…It’s time to HEAL, It’s time to start evolving in who we are. Yoga has now become a very popular topic in the world today but can Yoga really help you become a better athlete? We have all heard of the amazing benefits of yoga from a flexibility perspective but I wanted to really dive into yoga and how it can create the change that you are seeking in your life both inside and out. No doubt about it that yoga is known for increasing flexibility in your body. There are specific classes such as deep stretch that focuses on allowing your muscle to engage in a series of static stretching. Static stretching allows the neurotransmitters to send a message to the muscle to relax. It is the most common form of stretching that is seen in fitness today. Often times in our everyday life we don’t take enough time out to sit and stretch or hold a stretch for 10-30 seconds to help with flexibility. So attending a yoga class that is focused on stretching allows the muscles to relax and elongate. Isotonic Contraction– generates a force by changing the length of the muscle. In everyday fitness and often times in the sports we are constantly moving and working our muscles in a isotonic contraction. Not all the time but the majority of the time. In yoga you get a variation in these contractions…You get isotonic contraction and isometric contraction. This allows the muscles to be engaged while in movement and also without movement. Prime example of non movement (isometric contraction) if I was to hold a Warrior 2 pose it may seem as if no muscles are working because I am not changing the length of my body. But try this on..Stand in Warrior 2 for about 3-5 minutes and you will soon realize that your quads, hamstrings, calf muscles, abdominals muscles, upper body muscles are all fully engaged and all working together to keep you in this pose. So it allows all of your muscles to be fully engaged and working together; which can help teach your body/muscles when doing activities to be fully engaged together. 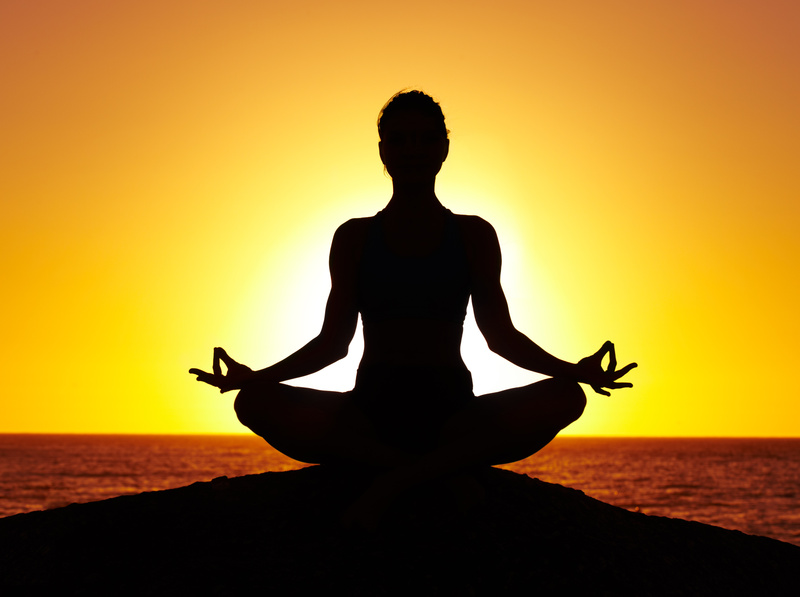 Does Running, Crossfit or any sport help you to become a better Yogi? No it is actually the opposite; engaging in yoga actually helps you to become a better runner, crossfitter and better at your sport. How? As stated before yoga helps not only teach your muscles how to be fully engaged together but also helps elongate your muscles through flexibility and allows you to utilize 100% of the muscle instead of 50% of the muscles due to muscle tightness. 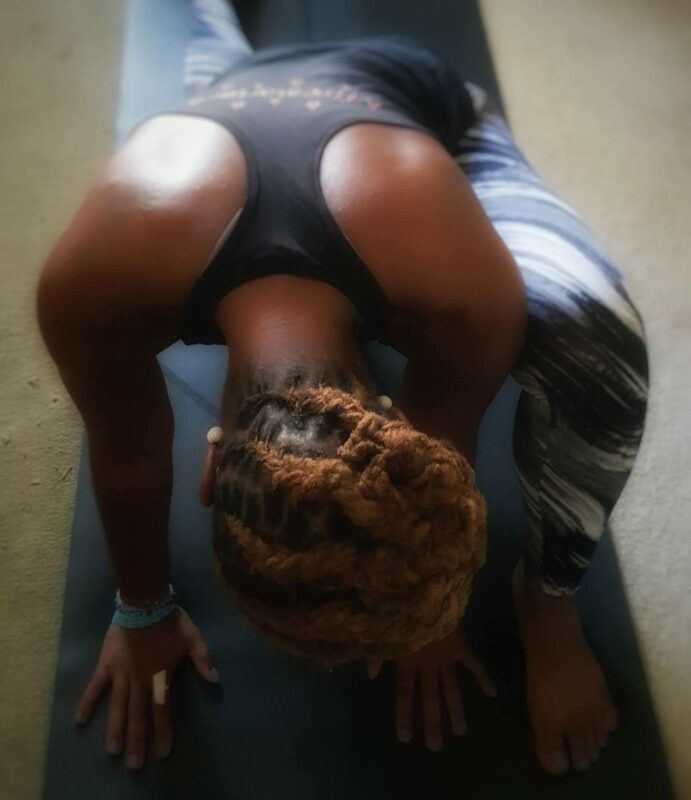 Yoga also helps you learn how to breathe through movements and helps you create a mindset that will help tackle some of the hardest races, or hardest competition or hardest game you may tackle….Stay Tuned for another post about Yoga and Mindset coming soon. So should you incorporate yoga into your weekly practice…Heck YEAH!!!! Most not all experience the Lunar Eclipse last night and today (the blood moon). I love the change and transformation of the moon because it allows me to equate that to my life. The change and the opportunity (transformation) of recreating who you choose to be. The shedding of the old egoic mindset/ways and inviting the newness, the inspiration, the optimism. Often times its important to take a moment and reflect on the past, reflect on the transformation process to truly determine where you want to go with the new season, new way of being. What things do you want to get rid of? What things or people do you want to invite in? What aspirations are you seeking after? What new goals are you wanting to accomplish? In order to truly invite in the NEW you have to shed away the old (let go). Sometimes its hard but in order to grow you have to let go of whatever may be holding you down…that can be a person, it can be fear, it can be doubt. Whatever it may be remember that a flower can not bloom unless it sheds away the bad, the old, the not so good. So take time today and reflect on what you want to invite in on this MoonDAY and what you want to SHED away. Remember in order to invite NEWness you have to shed away the OLD. As I was sitting the other day it was crazy how just in sitting all the many stories, thoughts, conversations that go on in your head. I realized that often times we choose to not sit because we don’t want to face the thoughts that are going on in our head. I have often referred to my thoughts in my head as the monkey mind or the tape recorder that just keeps playing over and over again. Honestly, that is all it is. It is the voices inside of our head that are from the past that just keep replaying in our head. However, when we finally choose to live in the present state we can begin to quiet the monkey mind, we begin to be able to stop that recording from playing in our heads. Eckhart Tolle said it best, “You do not become good by trying to be good, but by finding the goodness that is already within you, and allowing that goodness to emerge.” “But it can only emerge if something fundamental changes in your state of consciousness.” So therefore until we choose to live in the state of being present and release the monkey mind then we will continue to play that tape over and over again. But when we choose to live present, we choose to change our state of consciousness by being present and truly listen to our hearts…then we can proceed to greatness, we begin to live from within. So therefore we have two lives that we can choose to live. We can choose to live the life we are living or live from within. In order to live from within we must first quiet our minds. When you think of breaking the chains I imagine being shackled together being in a rut, can’t release, can’t get away from. Breaking the chains can be something that is physically going on with you and also literally. So what do I mean when I say, “Breaking the Chains”? Breaking the Chains is all the expectations that we hold on ourselves. Often times we set such high bars and expectations for ourselves that we feel like we are in chains..we can’t seem to catch a break, we feel like we are less than because we didn’t complete that task. We feel as if we just will never break free from our past, from our mistakes, from our problems, from our current issues, from just life in general. We don’t have to continue to be shackled, we don’t have to continue to be chained…. Release the concept that you don’t need help or that asking for help will make you inferior. These are the chains that we put on ourselves each and everyday that holds us back from achieving our goals and dreams. It’s these chains that we put on ourselves every morning before we walk out of the door. WE can but we must first break the chain that we have placed on our lives. Stop feeling like life has to look a certain way, stop putting high expectations on yourself and start living. Start accepting each moment and each experience that comes in our lives as not a bad thing but as guide to help us achieve the goals that we are setting to achieve…but first you have to break the CHAINS!! !